A domain name is the site and email address of your website and is vital to have a domain name that is both applicable to your organisation and is memorable. 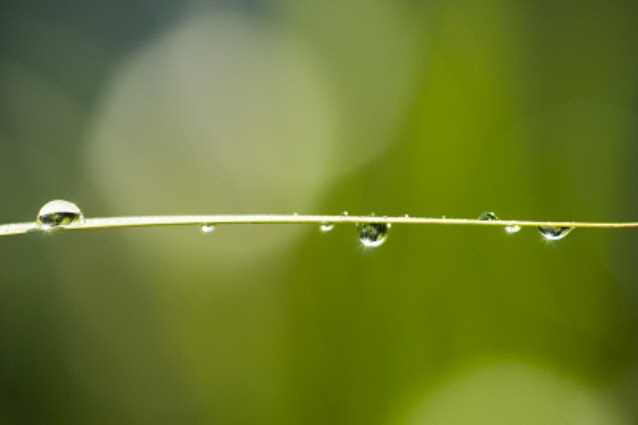 Domain names come with an array of different endings: .co.uk | .com | .net |.org. You can have any domain name and any ending you like, as long as no-one already owns it. There are a few things to note about format (see below) but in practice you are free to have any domain name you like. A domain name is the first thing you need if you are going to build a website or an email service. A domain is the website address visitors type in to their browser or the second part of an email address after the '@' symbol. Picking the right domain name is important and as anyone in the world can buy the rights to any domain name, it is good to act quickly. Once yopu have secured the right to use a domain name (note that you never actually 'own' a domain name) it is yours to use as long as you continue to pay the renewal fees. 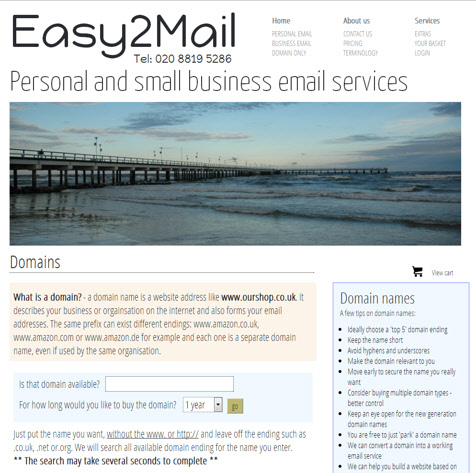 Domain names are handled by our sister business, Easy2mail.co.uk. Click on the links below and visit the site where we have a great deal more information on domain names and from there you can buy the rights to any domain name, as long as it is still available. The ending of your domain can be important as it does say something about your organisation. A .co.uk name clearly says you are from the UK, .org/,org.uk is normally a non-profit organisation, international users will default to .com if they are not sure about your address. Others are rare and less memorable: .net, .info, .biz. If you want to look European, you can use .eu. A whole list of task-specific names are soon to be introduced and are listed on the Easy2Mail website. It is important to keep control of your domain name. We will automatically renew your domain if we manage it for you and if you prefer you can secure any domain for 10 years.